A Celebration of 10-years and a new site! The OMC began in 2003 with a class of 10 people drawn from our private practice. We met in a conference room at the Riverside Hospital that barely fit 12 of us and a three-section oak conference table. Each evening that table had to be stacked in the corner so we could do the Body Scan lying down. The intercom would blare and the code alarms would sound. Somehow we managed. 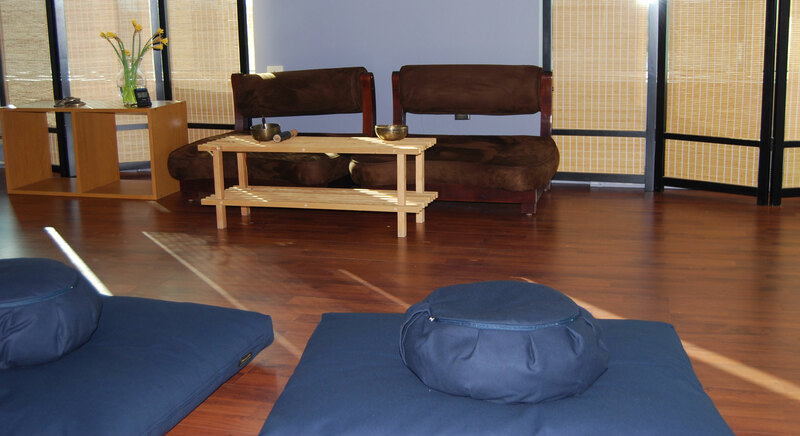 Now, ten years later, we practice in a lovely meditation room set next to our offices available for daily meditations, classes, and the Alumni sessions. On this 10th series of sessions, we are offering four classes of MBSR and look forward to this ever-increasing spiral outward into society. We continue with our professional training in Foundational Mindfulness-Based Interventions, a course we have conducted continuously since 2005. In celebration, we have just published our new website and will move our blog there. Please join us. There are still a few tweaks on the blog page that need to be done and we hope that will be completed shortly. The inaugural post will be a review of Mark Williams’ terrific book, Mindfulness: An eight-week plan for finding peace in a frantic world. Thank you to all our participants whose enthusiasm and dedication made all this possible! May your days be light and joyful. May your practice bring you peace and love. Congratulations on the growth of the OMC and the magnificent spaces you have created that hold it!